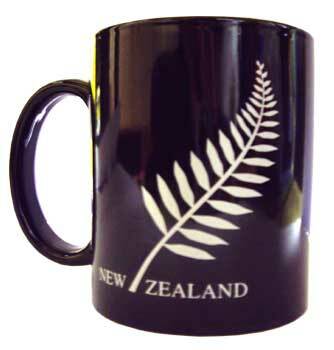 This black NZ mug sports a large, stylised white fern. It holds a decent 12 ounces, and its thick ceramic rim makes for a satisfying sip. An ideal receptacle for your daily cup of New Zealand Bell tea, this mug is equally suited to teas and coffees of any origin.